June 2015 marks the 10th anniversary of Little Jack Horners moving into our current shop location. At the time of our move it seemed that we had unlimited space. 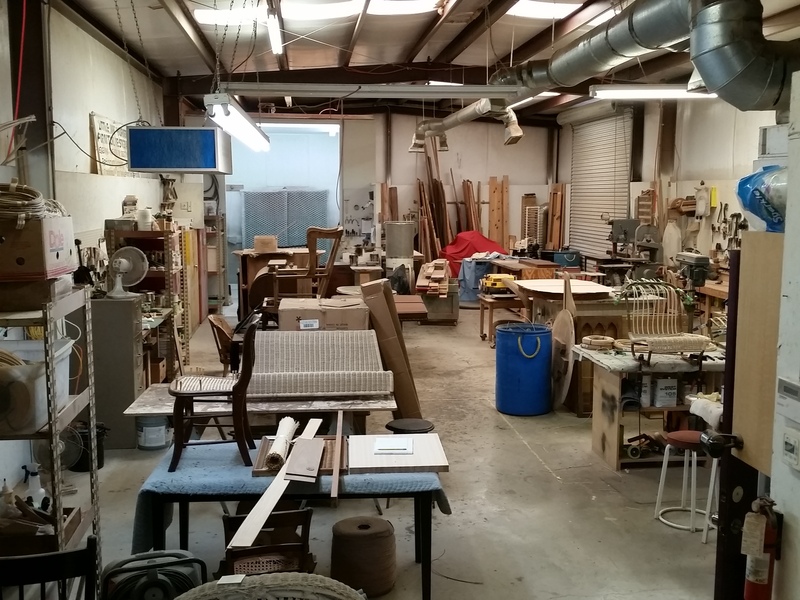 Moving from 2500 square feet to 4000 created lots of empty spots in the shop. 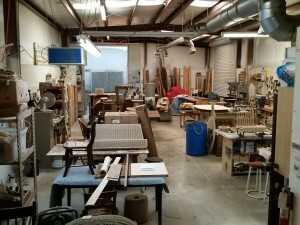 Those have now been filled with new tools, equipment, and employees. The following pictures may tell the story better than I can in just a few words. 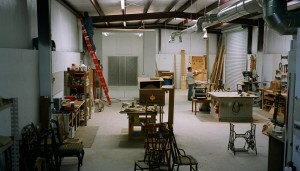 The first, taken as we were just moving in, shows the primary work area of the shop looking south into the finish room. The second picture, taken from the same spot, shows the shop now. To celebrate the 10th anniversary in our present location we are offering a special savings for a limited time. Bring in your restoration project and receive a 10% anniversary discount. This offer is good beginning July 1, 2015 until July 18, 2015. You must mention the anniversary to receive the discount. 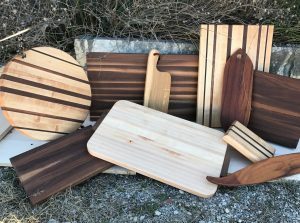 You know the rest, other restrictions apply, see us in the shop for details. Thanks to all our wonderful, loyal clients for helping us grow over the last 10 years.